Students investigated similarities among organisms in their physical features, as well as characteristics at the cellular level. 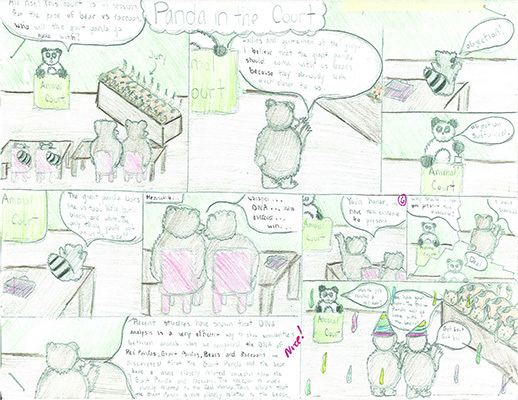 Based on what they learned about DNA, students had to explain if the giant panda was a closer relative to bears or to raccoons by creating a comic strip. I can write arguments to support claims with clear reasons and relevant evidence.